Views! Views! and Views! 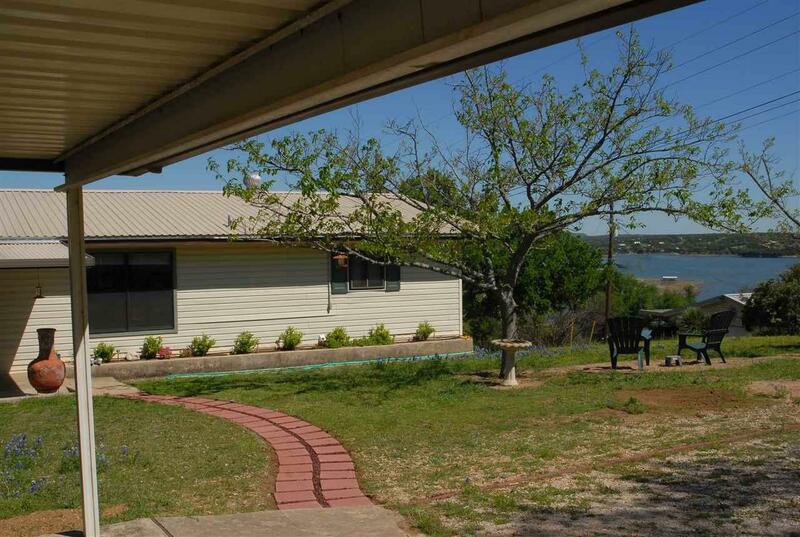 This charming two bedroom, two bath cottage home is perched on a hilltop spanning three lots in Bonanza Beach overlooking Lake Buchanan. 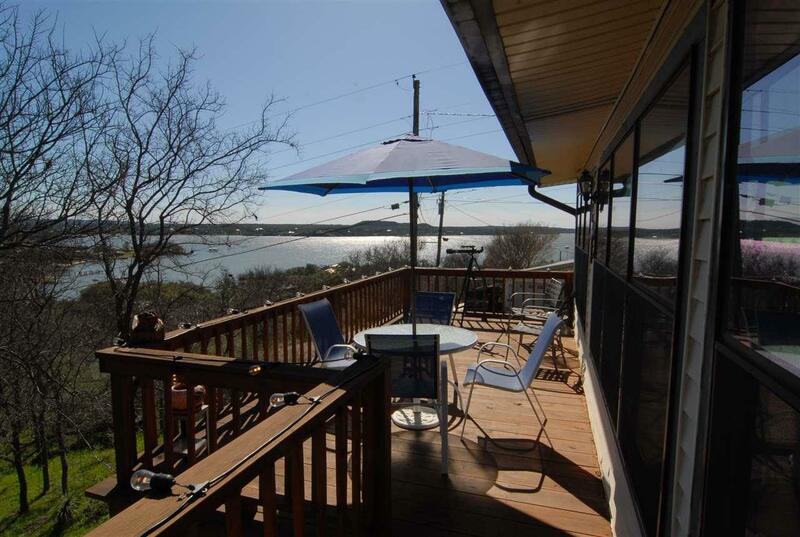 Just a short walk to the homeowner park and boat ramp! The kitchen has been recently remodeled and highlights include granite countertops, new cabinetry, a pantry and lake views. 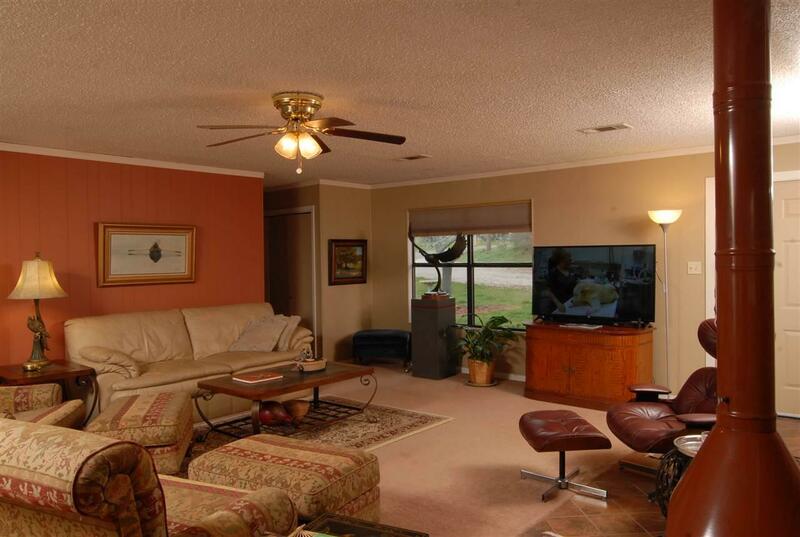 With a split floor plan, this well maintained property offers a master suite with a small sitting area, a beautifully tiled walk-in shower, and an ample sized master closet. The family room features a wood burning stove. To maximize the lake views, there is a second family room with expansive windows that features a wooden deck for more outdoor living. Outside features include a two car carport with an attached storage building/workshop. An extra bonus is the over-sized storage area underneath with easy walk-in access and plenty of extra storage space. There is a water well on the property that is currently not used. Some furniture is available on a separate bill of sale. Antique light by front porch does not convey. 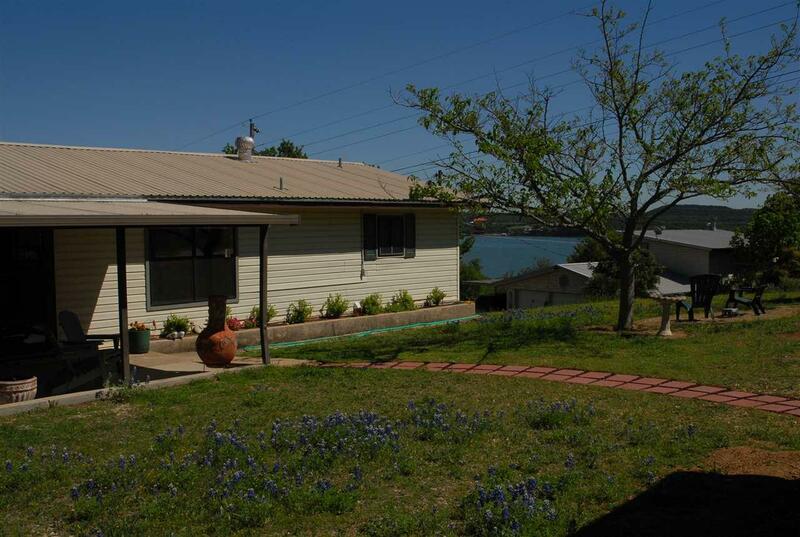 Listing information © 2019 Highland Lakes Association of Realtors. Listing courtesy of Patricia Gillean of Gillean & Associates Realty.